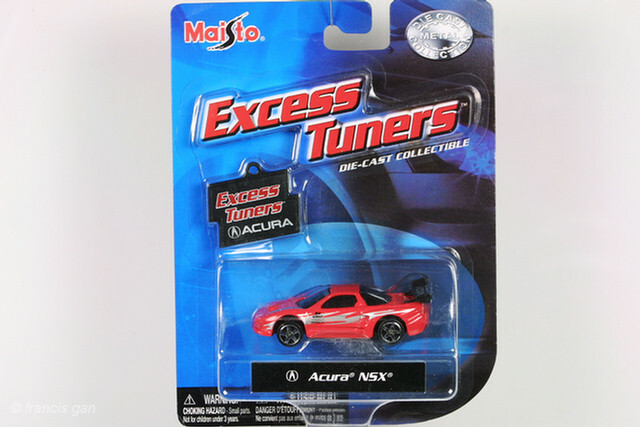 Maisto was one of the later companies to release an NSX in matchbox size. 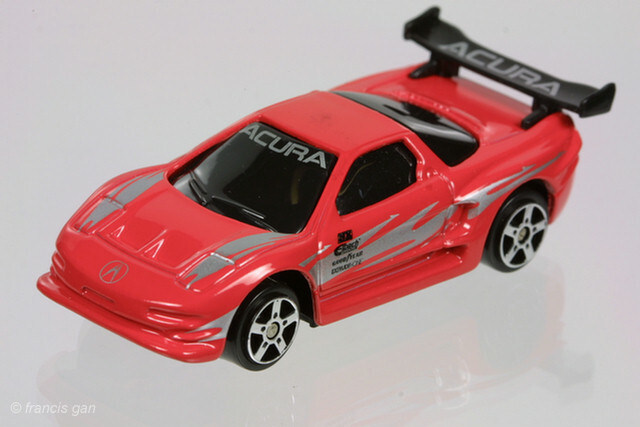 When they did, it was a modified Acura NSX with a large rear wing. 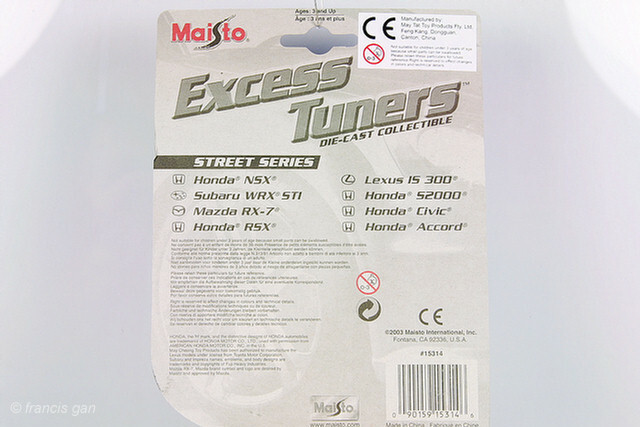 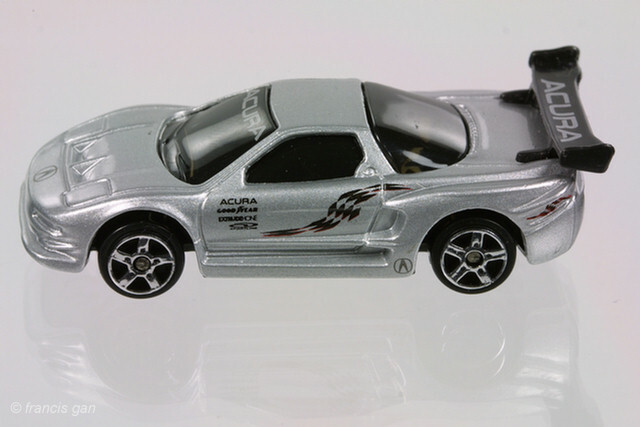 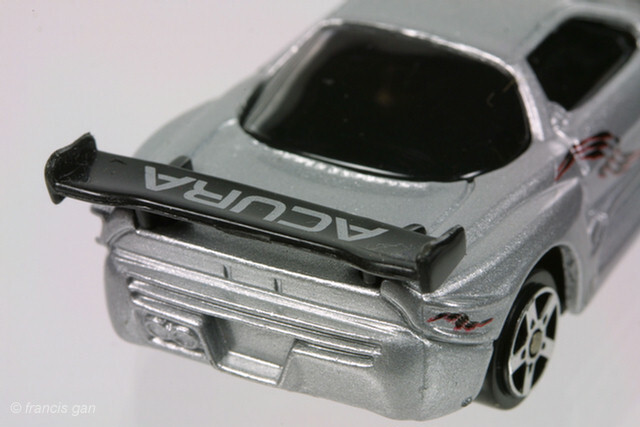 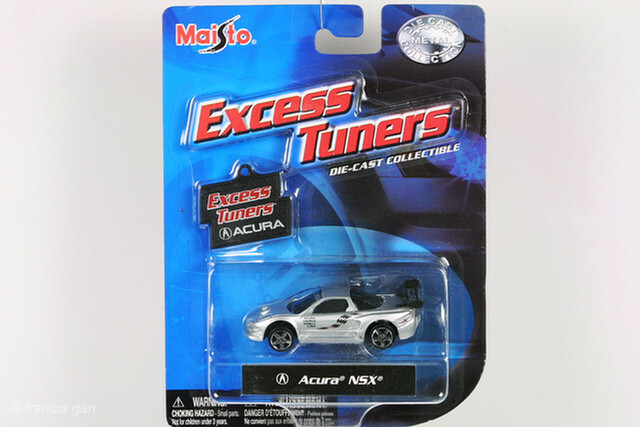 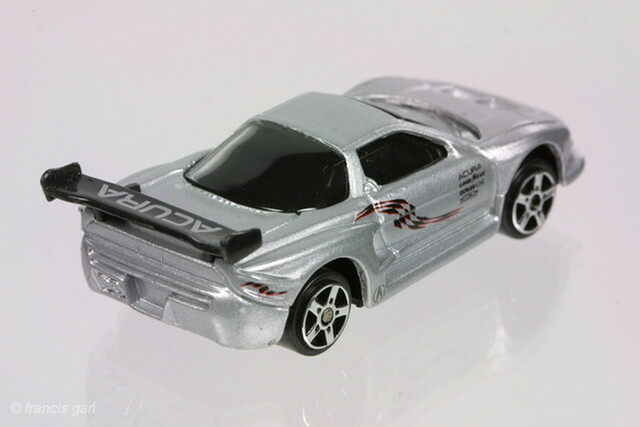 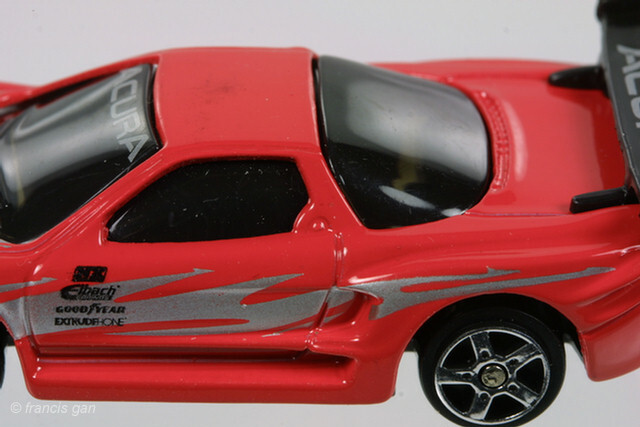 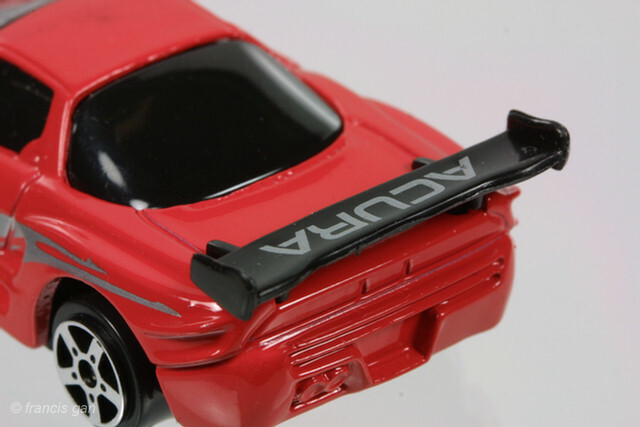 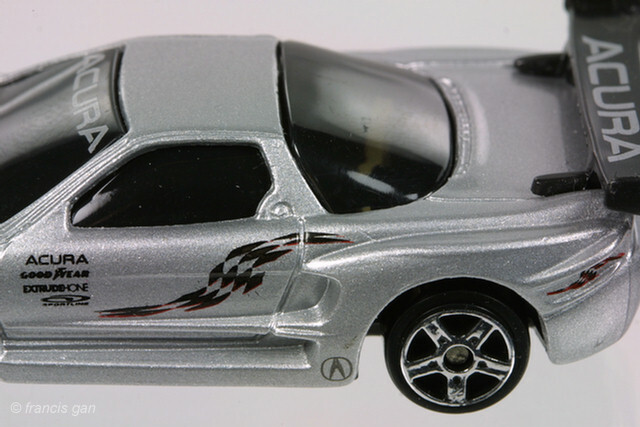 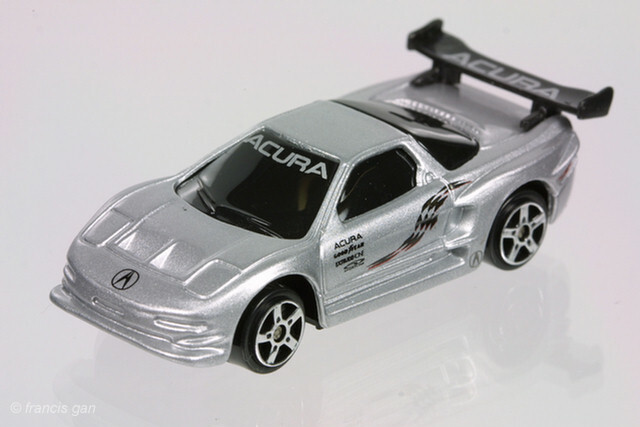 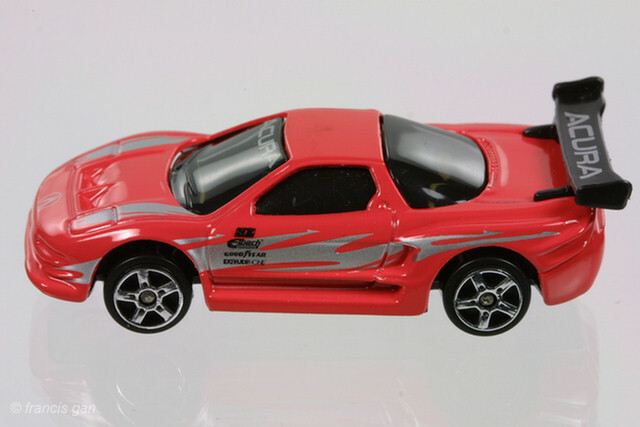 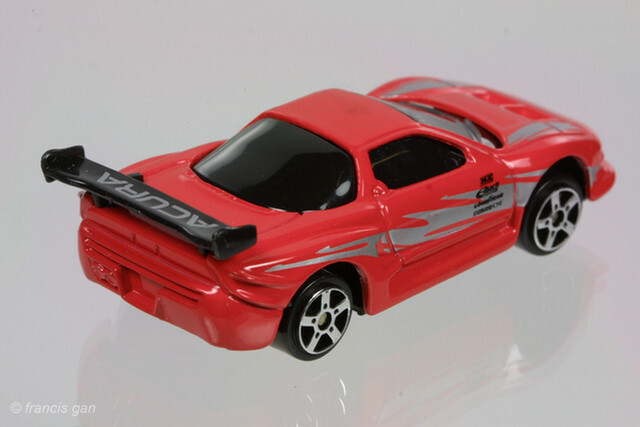 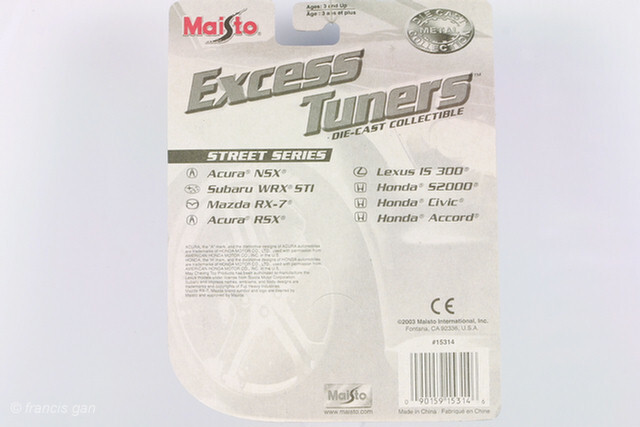 The Maisto 1:60 NSX came packaged in an Excess Tuner blister pack and was available in both silver and red - both with graphics on the side, bodykits and a large black rear spoiler. 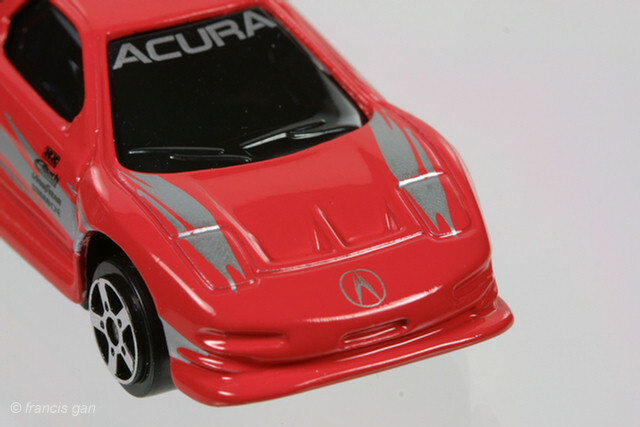 Flashy graphics are on the side of the car. 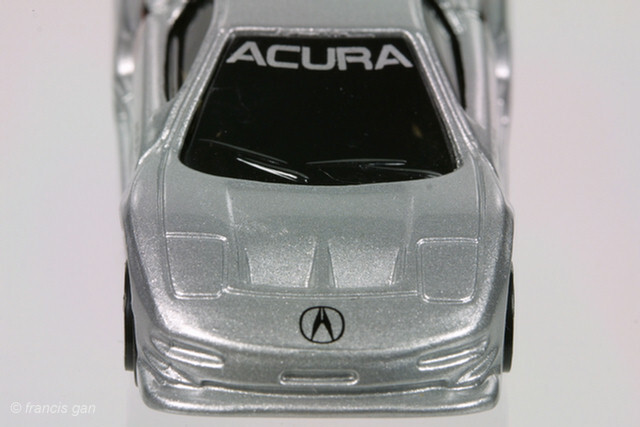 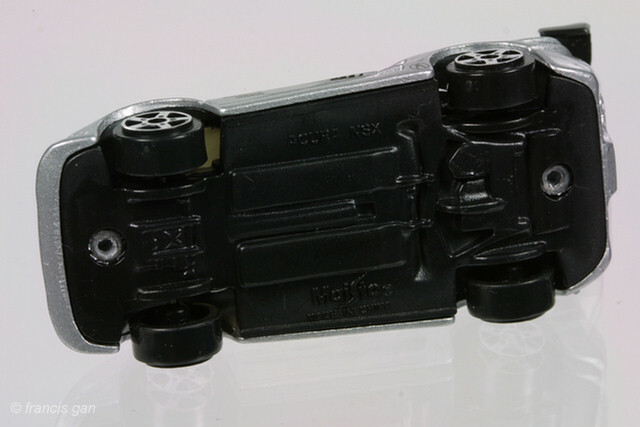 The bottoms are casted with "Acura NSX", "Maisto" and "Made in China" with an incorrect undercarriage layout. 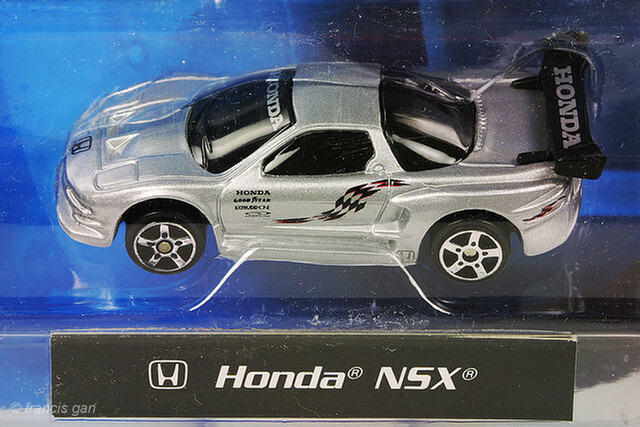 It turns out there is also a Honda version. 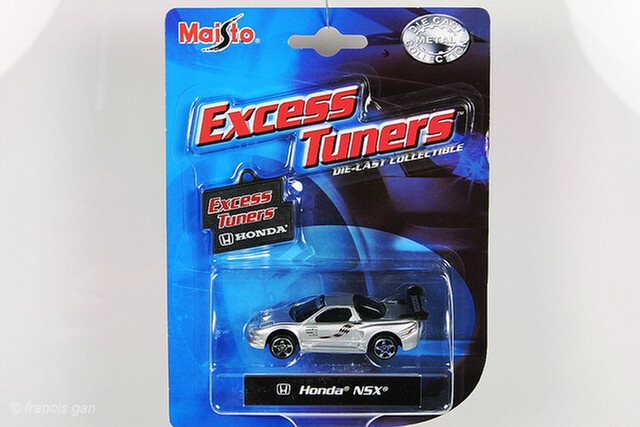 The Honda version sold outside the US.